TWO TONS OF TRASH EVERY WEEK ! 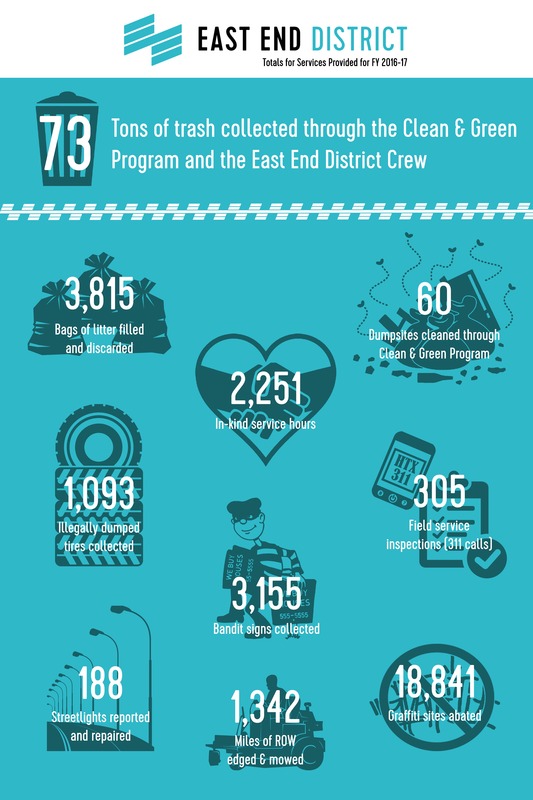 The District’s 7-person litter crew picks up 1 1/2 to 2 tons of litter, plastic and other debris on major and arterial streets every week within our 16 square mile area. Annually, we partner with Keep Houston Beautiful for an East End Clean Up Day, with business owners, employees, residential groups, and dozens of local volunteers. 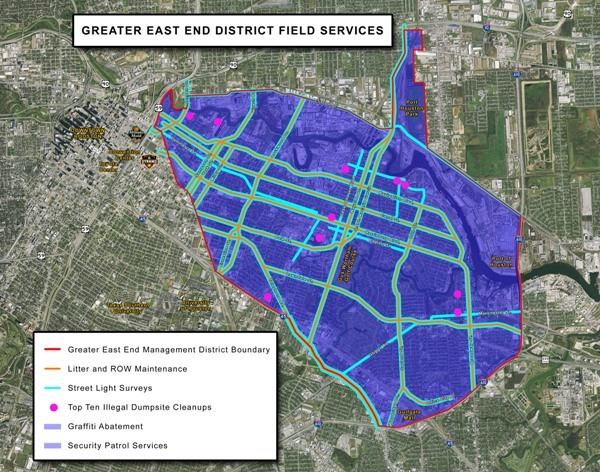 The field services map identifies locations of services throughout the District, including streetlamp surveys, signage, mowing and litter pick up. The City of Houston heavy trash pick up schedule is available by zip code at Houston Solid Waste.